We know they’re pests, make a mess, and go where they’re not wanted . 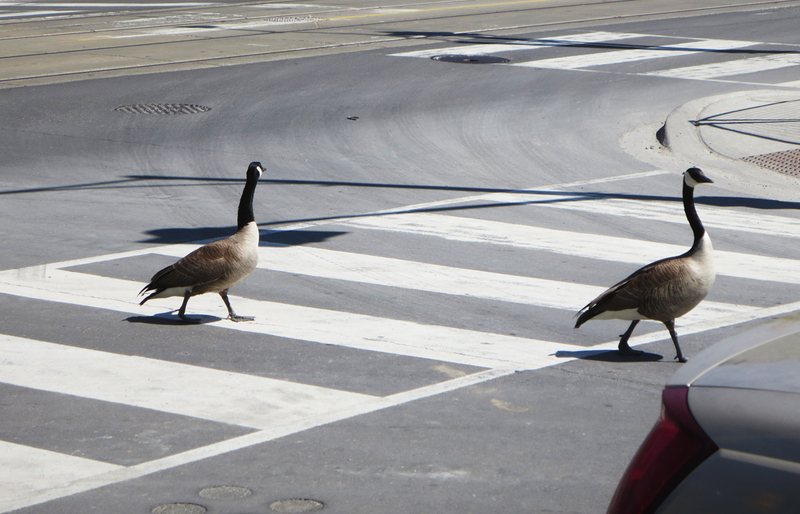 . . but the strikingly beautiful Canada Goose is very much at home in TORONTO. They especially like camping out in our parks. 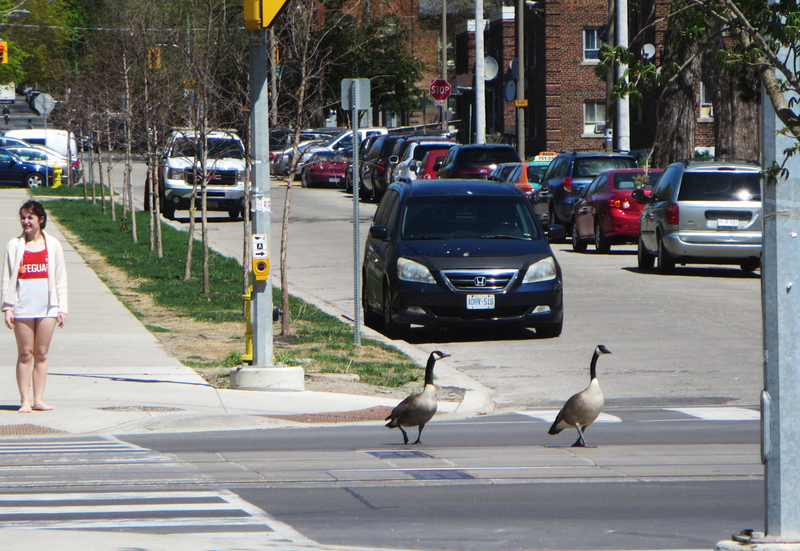 This dignified duo was crossing four lanes of traffic on Dundas Street East, unfortunately against the traffic light. 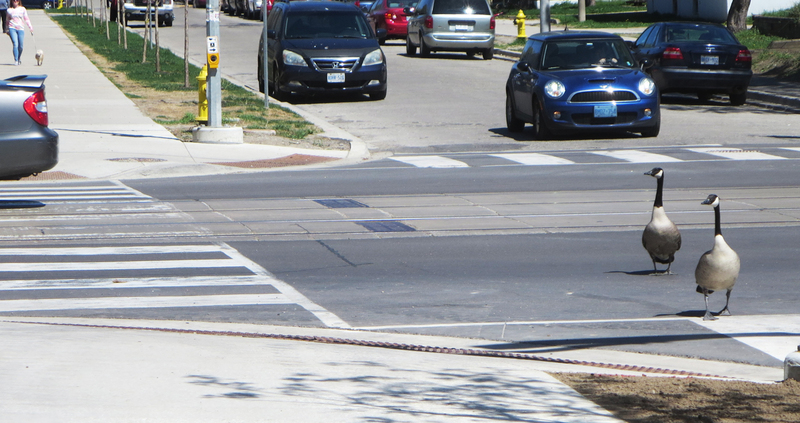 Fortunately they survived.